love your blogs! Just makes me want to make the time to read all of them :-). would love to subscribe, but got impatient after 10 minutes of trying…. I am sure its a user problem. will get heather to assist. I love those pocket doors! Well, really all of it, but I am a pocket door lover from way back and would have them in my house if I could. I sure hope you can swing the financing–hate to see this lost. Love this! I’ll share. Maybe we’ll find a “savior”. If you want to hire a professional genealogist to research Colonel Manning, I’m available and my rates are reasonable. 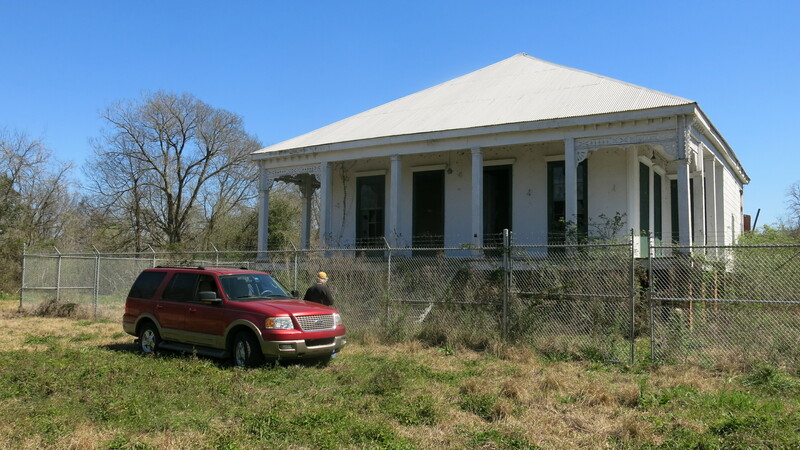 Already posted a long bio of CSA Colonel John Lawrence Manning, a very famous politician from South Carolina, who built and owned this house and 675 slaves to run the Point Houmas sugar plantation. It was done as a political move to become a large and important landowner in Louisiana, so that favor could be garnered for Louisiana to join South Carolina in secession from the Union. This was the family’s third and smallest plantation house. His impressive bio can be found on Histories of Louisiana Plantations, Wikipedia, and most search engines under his full name, and referencing South Carolina. According to my family research, Manning’s Louisiana Plantation was a Union Regiment Hospital during the Civil War. I am doing some unrelated research and came across documents about Point Houmas in the Manning papers in the Archives in Columbia SC, South Caroloniana library. There are records of wages, and purchases etc. I’d love to look over the documents you have come across referencing Point Houmas. Any way that you can email me the papers? How much are the moving costs? Out of curiosity, is River Road the same as Plantation Row? Are they close? My husband and I visited and stayed at one of the old mansions on Plantation Row. It was wonderful. I truly hope you find an angel to help you protect and preserve this gem. Have you spoken with the State Historic Preservation Office about possible sources of funding? Nicely done, highly descriptive post. Love the many pictures you included as well. a restoration of love, well worth the work, it’s beautiful. There are still so many older people in the area to ask who are great historians! I would definitely ask around for stories on the place! There is a man and wife in D’Ville who used to live here as long as they kept it up. Good luck! I hope you save it. I hated when Minnie Plantation was torn down. Awww it was beautiful! My grandfather was born in this house in 1878. My great -grand parents and my great-great grand parents lived there. why not hold some sort of fund raiser if the owner is willing to donate the house to save it from destruction? It would be well wroth the effort! I see this was posted back in 2014. How is the Point Houmas House? I absolutely love the Creole/French style of architecture that is found in Louisiana. I hope this house was able to be saved. If it still needs help maybe you can set up a Go Fund Me account. I would love to see this house refurbished. 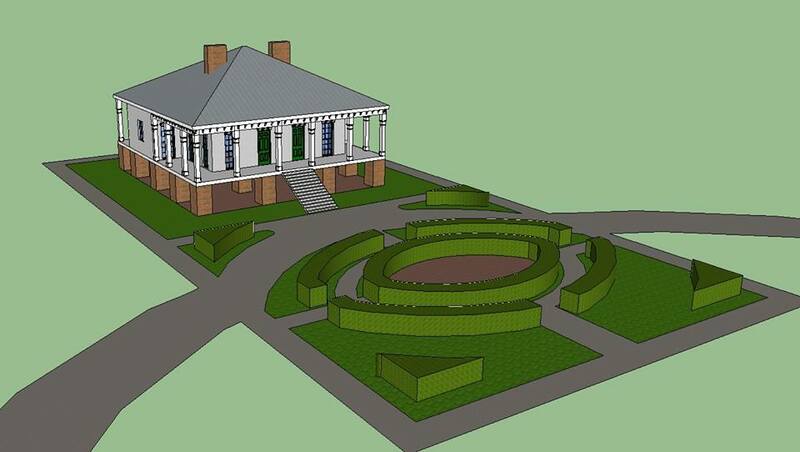 The Point Houmas plantation is still there, but it is more grown up. We drove by it last week while hunting for abandoned plantations. Beautiful! Hope someone steps up to move it. But of course it would be more wonderful if the owners set aside the house and appropriate average to restore and use as historic site. Bet they could get tax credits. Can’t imagine a house with those ceilings and door height. Glad you have that pic with you standing in door! The Houmas had been located in the Feliciano-Woodville Mississippi area. The boundary between the Houmas and the Bayagoulas (located primarily between White Castle-Plaquemine) was the “Red Stick”. Anyway, the Tunicas of Mississippi were attacked by the Chickasaws, so the Tunicas moved down to live with the Houmas in the Feliciano-Woodville area. Within about a year, though, the Tunicas killed about ½ of the Houmas tribe. Thus the Houmas moved down to this area, “Point Houmas”, about 4 miles downriver from Donaldsonville, where they lived until Latil and Conway bought the lands from them (maybe 1780 or so). (Take note of the civilization difference of the white man’s PAYING for the land, versus the previous treatment of the Chickasaws to the Tunicas, and the Tunicas to the Houmas). 1718: Bienville charges Penicaut as single envoy to Chitimacha, with whom the French had been warring. Penicaut goes (alone) to Houmas/Oumas village with hope of encountering Chitimacha. Not sure if village was at the point or at the “Houmas House” location. Does meet with 3. They go back down Lafourche. Chief and warriors meet with Penicaut at the fork, a.k.a. where Lafourche meets the Mississippi River. In the early 1800’s, there was a judge that lived on Point Houmas, I think Judge Turner (it can be found in one of Sidney Marchand’s books). He was the head official with whom Gov WCC Claiborne sent legislated news. I recall that he and his wife died young and left their young children as orphans. About ½ mile downriver from the house pictured was where the D A R had a marker commemorating the death of the missionary St Cosme’s being killed by the Chetimaches / Chitimachi Injuns in the first decade of the 1700s, which started an almost 2 decade war between the French and the Chitimachi. Much of the above can be found in the book by Penicaut, which hugely unfortunately is not read in Louisiana grade schools as either history or as literature. Hampton also led the military effort the put down a slave revolt in 1811. At least 400 slaves from several plantations along the river near LaPlace staged a rebellion and killed two plantation owners and injured several others and were marching on New Orleans. They were met by the militia and all were arrested. The ring-leaders were executed and 16 of them were beheaded. In 1814 Hampton also served with Andrew Jackson at the Battle of New Orleans. All at the same time, he was running a vast plantation and constantly adding to his land holdings. He had accumulated 12,000 acres by the time of his death in 1835. His wife and children inherited the property upon his death. His daughter, Caroline, had married John Smith Preston, and it was they who in 1840 built the “Houmas House” we see today. In 1848 Caroline and John came into full ownership of the estate. Ten years later, in April of 1858, all of the property and 550 slaves were purchased by John Burnside, for $1,000,000. The town of Burnside was named for him. My wife is a direct descendant of Alexander Latil, who, with, Maurice Conway, purchased the land that Houmas House rests on today. The land they purchased was vast and I don’t know for sure but may have included the land where Point Houmas was built. I love researching old Louisiana families. If there is anything I can do to add to your research, I’d be glad to help. This house may be older than the 1870’s. That work on the outside of the house may have been added at a later date to modernize the look. Just found it mentioned in a book I have. Says 1858. This house style is actually French Creole, not Eastlake. The gingerbread trim was added in the latter part of the 19th century to update the style in keeping with the times. This superficial updating is usually referred to as “Victorianization”. The French Creole style begins with with French Colonization in the early 1700’s and continues in decreasing frequency into the late 1800’s. The presence of the slave cabins indicates the house was built at least by 1865 and I would guess it was probably constructed in the early 1800’s.